We are an informal, friendly club, happy to welcome new racers of all ages and abilities. We race Monday nights except Bank Holiday Monday’s at Bransgore Village Hall. The hall opens at 6.30pm, booking in from 7.00pm and racing starts about 7.30pm. Brief practice allowed once the track is laid out. Help setting up and packing away the track is encouraged. Racing finishes at approximately 10pm. The track is 15m x 8m and the track layout changes every 2 weeks. 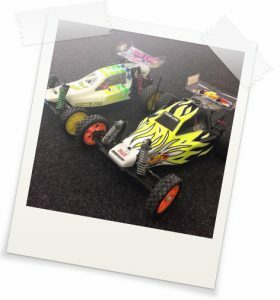 We race Tamiya Mini and GT12 classes. You will normally get 4 races (3 qualifiers and 1 final). On fun nights we will have a open class, so if you have a car laying around covered in cobwebs, dust it off and bring it along. 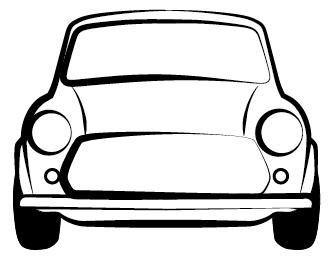 For Mini Stock only commercially available 2WD (Front or Rear wheel drive) M-Chassis to be used NO SCRATCH BUILT CARS. Any hop-up parts are allowed that are made for that car. Only 27turn brushed sealed stock motor or 21.5 brushless (any manufacturer) is allowed. Any M-Chassis rubber tyre may be used but NO ADDITIVE OR CLEANER to be used and NO FOAM TYRES. Any M-Chassis body that keeps within the spirit of the class. For Mini Mod only commercially available 2WD M-Chassis to be used NO SCRATCH BUILT CARS. Any hop-up parts are allowed that are made for that car. Any motor is allowed (brushed or brushless). Any M-Chassis rubber tyre may be used NO FOAM TYRES. Additive may be used that is on the BRCA approved list. Any M-Chassis body that keeps within the spirit of the class. 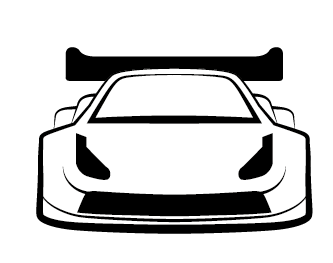 This class is based on the principals of close, fair and low cost racing. 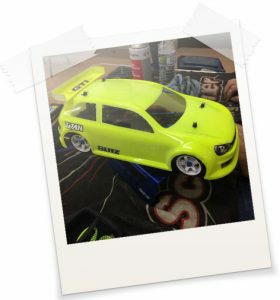 This will make it both an ideal entry level class for the driver who wishes to try his or her hand at RC racing for the first time, but the rules for the class will also cater for the more competent driver who wishes to take their racing further. In the interests of keeping racing costs reasonable, price limits have been placed on certain items and there is strict guidance as to the use of additional upgrade parts and components. This should also ensure that the performance of each car is more dependent on driver ability and good setup than on budget. Only production available cars are permitted. Any BRCA approved 13.5t with 1s battery or 21.5t with 2s battery, ESC to set in BLINKY mode only. Running on foam tyres and additive is allowed (please use additive that is on the BRCA approved list). 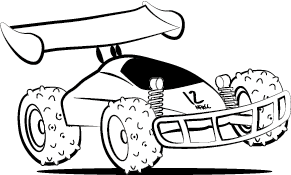 On fun nights we welcome any electric powered cars like Touring Cars, Drift, Buggies etc. Same battery charging rules apply. If any doubt if it would be suitable to run, please ask any committee member. As long as you have fun that is pretty much the only rule. Racing costs are as follows: Members £5, Non-Members £6, Juniors £3. Club Membership is £10, Our membership runs from January to December. In accordance with BRCA rules racers are allowed 3 weeks grace where they can race before having to join the club and BRCA (though normal nightly race fees still apply). After 3 weeks racers must join both the club and the BRCA if they wish to continue to race. To apply for membership please complete BOTH attached forms and return them to the club secretary (or any club official) along with the appropriate remittance (cash or cheques accepted – cheques to be made out to NFRCC). If you are already a member of the BRCA then you only need join the club but you will need to show your BRCA card and provide your BRCA number on the club application form.